With our Advantage Card you will receive many advantages here at the Farm. You can check in faster and easier at the Pro Shop counter, and receive points for each purchase of golf, food, or pro shop items. Your card will take $5.00 off your summer rates and $10.00 off your winter rates. You will receive 10% off your range balls and you are now tournament eligible for any member events throughout the year. Your card allows your pricing to be one hour early of the price changes during the day. Your twilight comes one hour earlier for you to get out and go. You can set tee times 2 weeks early and you get $5.00 off VSGA Handicap fee. We encourage you to join our family with this simple and affordable membership. 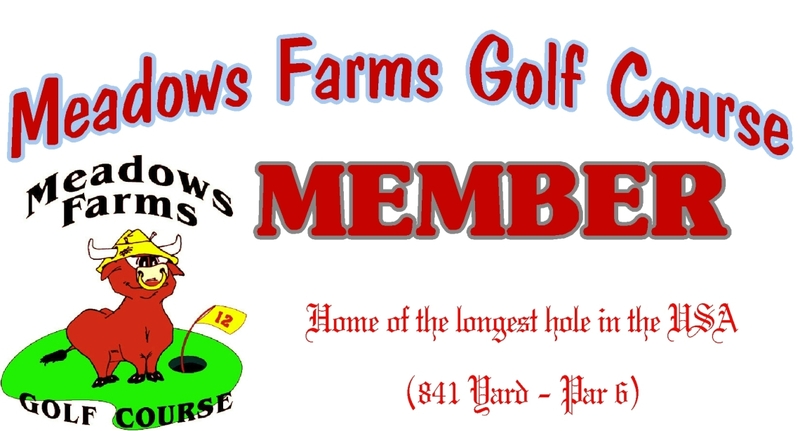 For only $49.00 you can become a member of Meadows Farms Golf Course, one of the best golf courses in Virginia.